Autobiographies by non-writers have a special flavor. Sometimes they taste like entrées prepared by non-cooks—just a little off target. Jacques d’Amboise’s book is one of the delightful exceptions. It’s a flowing kaleidoscope of memories and images that is not easy to put down once you have begun. Each of the images is a small, nostalgic essay that draws the reader into the author’s private space. The myths, legends, and history of his French Canadian family—a grandfather who was reputed to have won a wrestling match with the devil, a curse of vermin placed on two young girls in the family by a neighborhood witch—are all worthy of ballets. D’Amboise is an artist through to his core, and as such he is fully attuned to the richness of the life around him. He reports on that life with an inspiring generosity. This is his book about his life, but he endeavors to share the spotlight with every teacher and every dance partner who has touched his life. Many of his friends and acquaintances who are not part of the dance world also get attention in d’Amboise’s symphony of words. Readers are given a verbal portrait of the neighborhood bully whom d’Amboise finally vanquished using grand battements (high kicks) from his developing ballet repertoire. The author even searched for a photo of the owner of the neighborhood candy store as he prepared his journey into more than 50 years of memories. Yes, the photo of Dave and his shop is in the book. 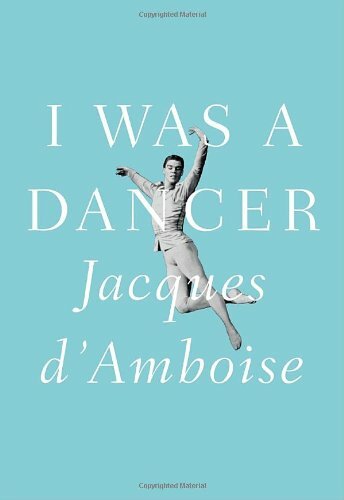 Dancer, choreographer, teacher, innovator, and arts activist d’Amboise is emotionally available in his highly personal narrative. It’s not impossible to imagine him in the room with you, telling some of the stories, as you read. His stories illuminate not only the world of dance, and the life process of becoming and being a dancer, but also the often complex cultural context in which the stories existed. We see the former Soviet Union and its repressive attitudes through the eyes of honored guest artists. It is a clear view that goes beyond the scope of what was reported by tourists or by dissidents. There are equally politically charged (and often equally repressive) views from inside major ballet companies and theater institutions. D’Amboise takes us along as well on his forays into the world of Hollywood movies. He was one of the dancing stars of the classic film Seven Brides for Seven Brothers and appeared in other films as well. One of the many veins of cultural gold in I Was a Dancer is the close up and personal visions of ballet genius George Balanchine and of writer, impresario, art connoisseur, and cultural figure Lincoln Kirstein. These men were pillars of American culture whose influence went far beyond dance. Of course, the list of personal portraits could go on and on. D’Amboise knew, danced with, and observed many of the most important dancers of modern times. He manages to give lucid and insightful snapshots of each of them. If the book falters at any point, it is around the time that Balanchine is dying and Kirstein is losing his grip on reality. Author d’Amboise states that his own world was rocked by the loss of those two important men in his artistic and personal life. His narrative reflects that disturbance and becomes hazy and somewhat disorganized. The clear vision returns soon enough, but the final chapters, about the world after New York City Ballet and School of the American Ballet have much less of the compelling impact of the first parts of I Was a Dancer. Nonetheless, the importance of the book is not at all diminished by these small flaws. We are left with an indelible image of Jacques d’Amboise as a good dancer, teacher, husband, and father. His book is filled with humanity and caring, and it will stand as an important document for anyone interested in American culture.